Food Mystique : Bean Paste Fish with Mango; a tasty fish dish with bean paste and mango for that refreshing, saucy and tangy taste. 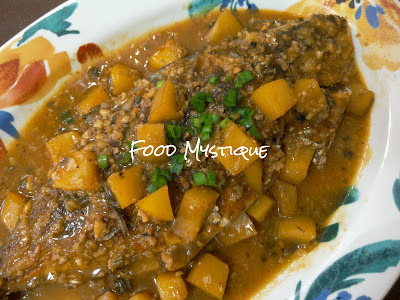 Bean Paste Fish with Mango; a tasty fish dish with bean paste and mango for that refreshing, saucy and tangy taste. 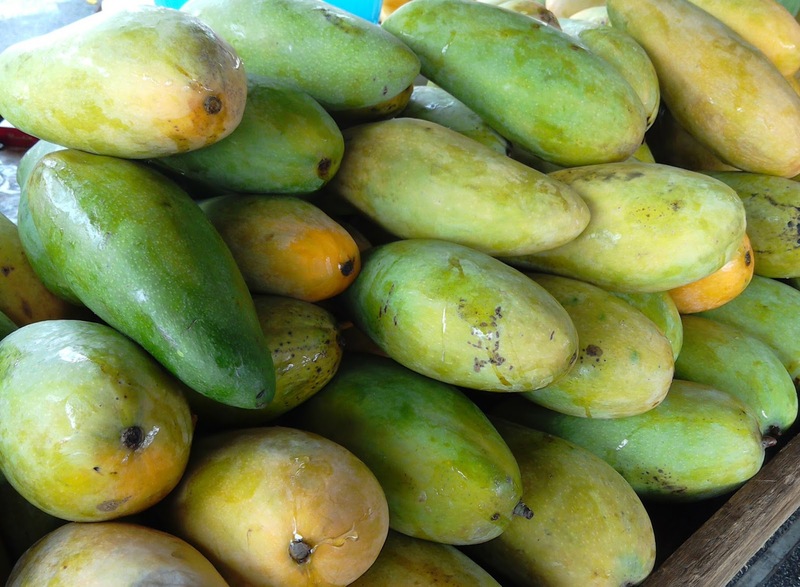 Welcome back, lovely, luscious and mouth watering mangoes; it's the mango season again! My love affair with mangoes started when I was at a very young age. I was at a close friend's house and she had this big mango tree right in her garden with all those green and ripe mangoes straining from their branches. 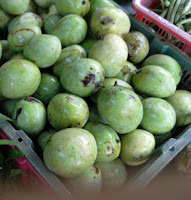 As a guest in her territory, I dared not climb to pluck them and I could only stare at them, salivating. It was a different story back at home though. 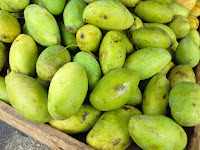 The front and back gardens of my house in Penang then were like a mini orchard with rose apple (jambu air), guava, pomelo, starfruit, lime and banana trees and I would often scout them out to see if the fruits were ripe and delighted myself in harvesting them. 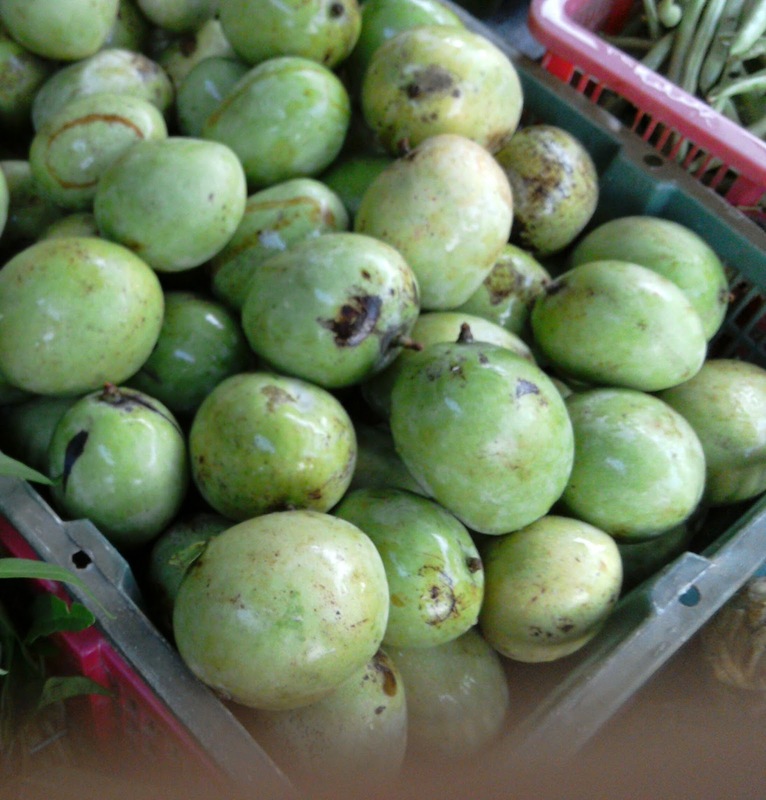 The rose apple and guava trees suffered most of my presence for they were the ones that I was only able to climb and I would pluck their fruits and enjoy myself with eating and watching the passers by from my perch on the thick branches. 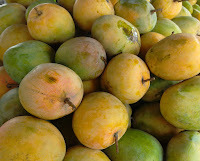 Back at my friend's house, her mother would hospitably skin the mangoes and slice the flesh right under the tree itself and then offer them to me. Wow, the sweet and sourish taste and eating it right there and then just made my day! I don't know about you but for me even this day, it is always more exciting and delicious eating on site! Scale, trim, gut and clean fish. Make two incisions on each side or only one if using smaller fishes. 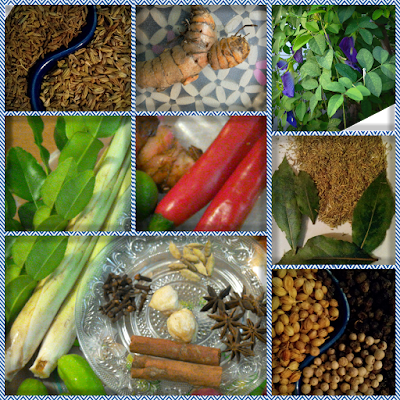 Season with salt and rub chilli powder all over. Heat wok and pour in enough oil to sear fish. When oil is heated, sear each side over high heat until nicely browned but only half cooked. Remove to a plate and set aside. Discard some of the oil leaving a little behind and add sesame oil. Saute garlic and ginger in the heated oils until aromatic. Pour in 300ml water and bring to boil. Add bean paste, cubed mangoes, bring to boil, cover and simmer over low heat for 3-4 minutes. 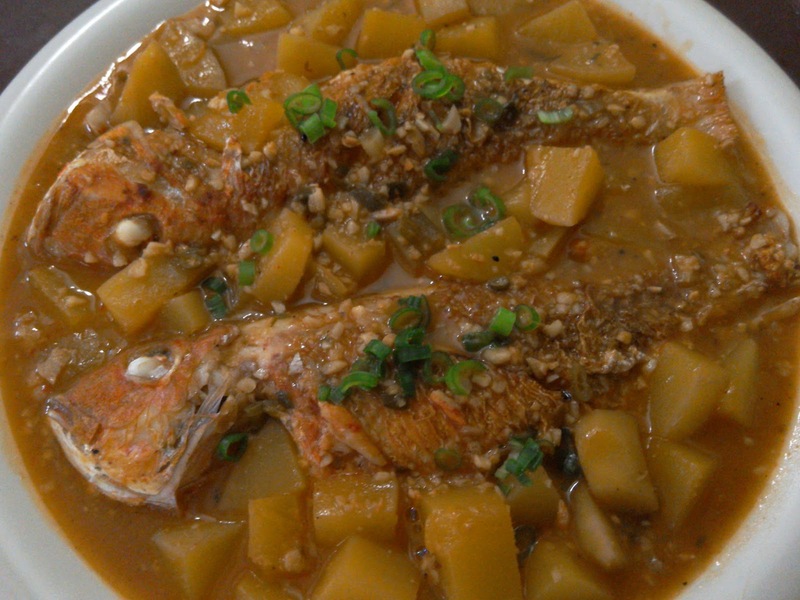 Add fish, green onions, cornflour mixture and cook over high heat until fish is just cooked and sauce thickened. Season to taste. Transfer to a serving platter, garnish with green onion and serve hot with rice. ** Opt for fresh and firm white flesh fish fillets if preferred. Do wear disposable food preparation gloves when handling chilli powder to avoid skin irritation.